Home » WordPress Plugins » How can I update my (premium) plugin? 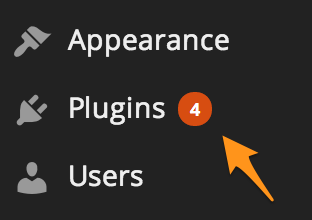 How can I update my (premium) plugin? If you have the free plugin, please see this article instead. If you have the premium plugin be sure to create a My Yoast account. You will need to add your site and then connect your plugin subscription to it. Please see this Quick Start Guide instead. We recommending backing up your site before running updates. The information below is written for advanced users. If your WordPress admin doesn't show the available update (which might happen due to a failure to communicate with a WordPress server), if the automatic update doesn't work or if you need to manually install the plugin for the first time, you can install or update by using File Transfer Protocol (FTP) or preferably the secure version, Secure File Transfer Protocol (SFTP). Your host provider may be able to help you with FTP/SFTP. You may wish to contact them first before using the steps below. Go to your My Yoast portal. Log in, if needed. Don't have a My Yoast account? Create one using our QuickStart Guide. Downloads is located in the sidebar (desktop) or bottom (mobile). Can I update the plugin on a Staging or Development Site?